To create your own custom hexagons chart, you can download and modify one of the existing templates, with no prior drawing skills required. Explore more material from this diagram sharing community. 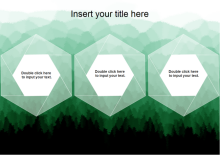 All hexagon chart templates presented here are created with Edraw. 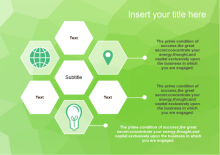 Try this powerful diagramming tool and design your own hexagons charts. View the featured presentations, charts, infographics and diagrams in the Hexagons category. 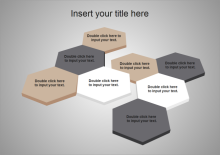 Download hexagons templates on this professional diagram sharing community for free. All templates are allowed to modify, print and export to many formats with only a few clicks.